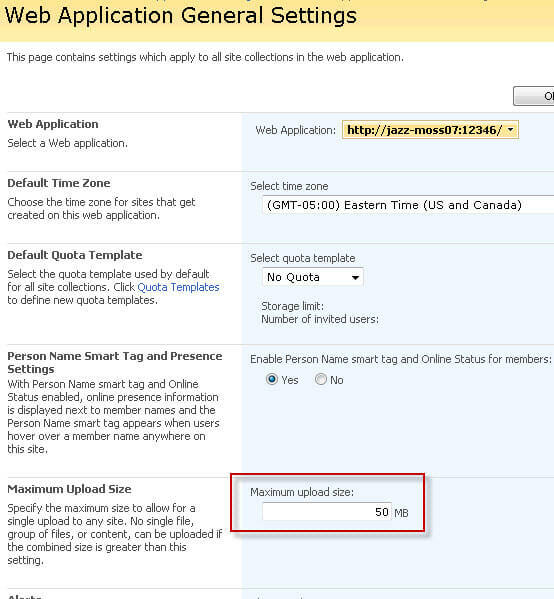 By default, SharePoint (WSS3 and MOSS 2007) limits file sizes to 50mb. However I would like to change that number. Is there a way to change this configuration? 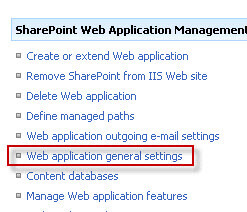 Select "Web application general settings". Look for the "Maximum upload size" setting and adjust to your preference. When finished, reset the IIS web server.